Are you ready to graduate? We’ll take you through the process -- from applying for graduation to receiving your diploma. Receive your diploma or certificate. *Applications received after the deadline are processed for the following semester. Fulfill all coursework and credit hour requirements as outlined in the College Catalog. Use the Degree Progress Report to monitor your progress toward your degree. Earn a grade point average of at least 2.00. Complete at least 25% of the required credit at NOVA. Resolve all financial obligations to the College and return all materials. For more information, see page 60 of the NOVA College Catalog. Spring honors cannot be designated until final grades are posted and degrees/certificates are awarded. Honors designations will be posted to the student’s transcript and diploma/certificate. The Dean’s List, Presidential Scholars List and Phi Theta Kappa lists are posted twice a year. For detailed information, please check the College Catalog. Once you meet the graduation application deadline and fulfill the graduation requirements, you are ready to apply for graduation. All students must submit a graduation application in order to graduate. Please click the instructions button below before completing the Graduation Application Form. Check out the Frequently Asked Questions page for additional information. You have completed all the necessary requirements to graduate. Your degree will be awarded up to three months after the last day of the semester. Upon successful completion of your current enrollment, you will complete all the necessary requirements to graduate. Your degree will be awarded up to three months after the last day of the semester. You are missing the necessary requirements to graduate. You will need to reapply for graduation during the semester you plan to meet your requirements. The commencement ceremony is held every year in May. There is no fee for graduation, but each student is required to purchase a cap and gown for the ceremony. Caps and gowns, invitations and class rings can be purchased from any NOVA campus bookstore. Your diploma or certificate will be mailed up to three months after the last day of the semester to the address listed in your student record. Please make sure your address is current in the system before the last day of the semester you intend to graduate. You will receive only one diploma for each degree or certificate you earn. The College will reissue diplomas in cases of natural disaster (such as fire or tornado), printing error or name changes resulting from gender reassignment. 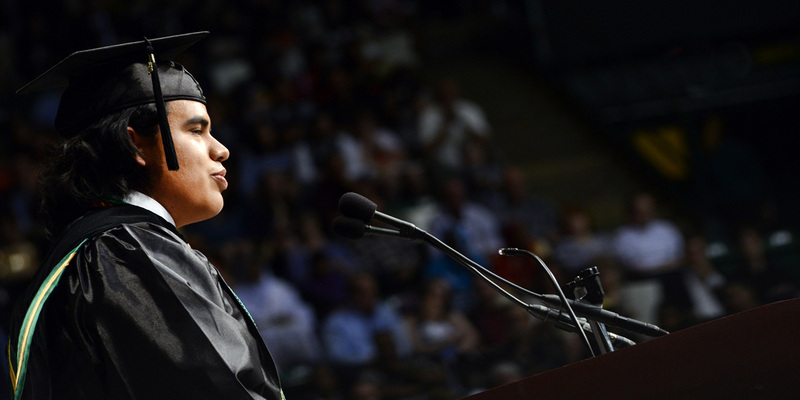 Learn more about this year's graduation ceremony.